Call it a slow news day, but there’s actually another reason why we decided to review the ancient, Nerf N-Strike Reflex IX-1. It’s because this little blaster isn’t total crap. In fact, as part of the “Attack Unit” sold in 2008 and onward as a Toys “R” Us exclusive, in particular, it often served as the catalyst for something far larger than its diminutive size would imply. 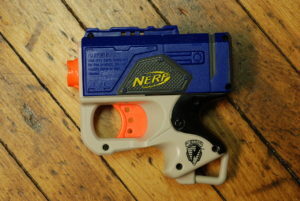 The Reflex IX-1 is the third smallest blaster to have ever been made by Nerf, coming in behind only the Secret Strike AS-1 and the Jolt EX-1 (and various Elite, Zombie Strike, Rebelle, Clue Elimination, and Dart Tag derivatives). It relies on the much maligned reverse-plunger system, but still delivers respectable 30 foot average distances flat, and up to a relatively amazing 50 feet given an angle of roughly 30 degrees. It loads from the front, which makes re-arming a simple affair. It’s easy to keep hidden and fits nicely in the pocket of a Nerf tactical vest. And that’s almost where the good news ends. The thing that redeems the Reflex IX-1 is the fact that it was once one of the most affordable ways to introduce Nerf blasters to a family member, or better yet, to an entire office. 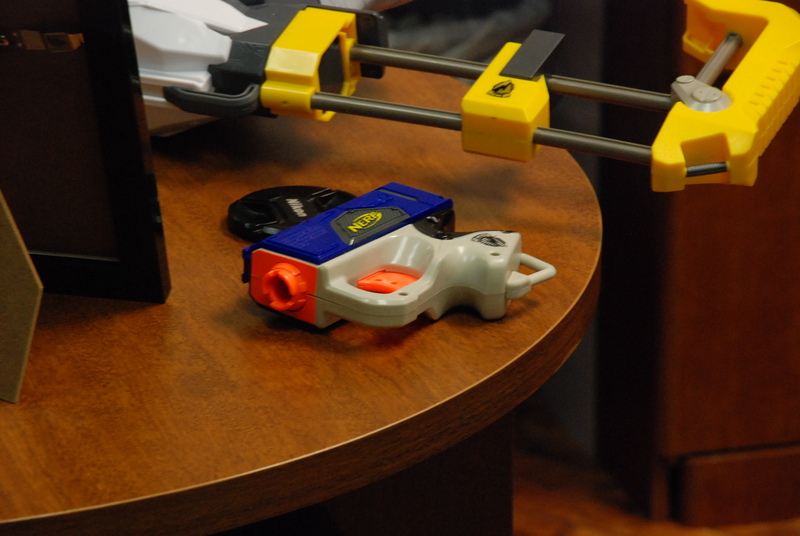 In fact, we’ve seen the latter tactic in action—a 6-pack “Attack Unit” purchased on a whim and distributed throughout a small office resulted in frequent Nerf battles, and the inevitable escalation to bigger and better Nerf weapons. It was a low-risk monetary investment, and the relative harmlessness and lack of intimidation from the diminutive little blasters meant that men and women alike didn’t feel awkward about shooting coworkers. 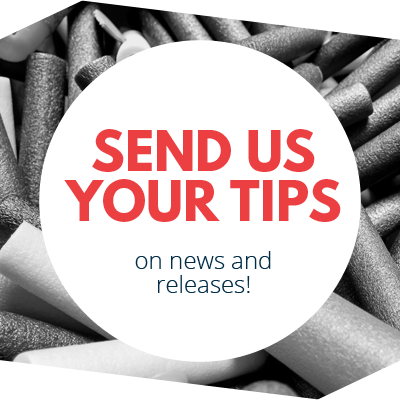 Today, we have the Jolt to take the place of the Reflex as a way to introduce Nerf blasting to coworkers, family members or a large group of friends. Today, we have the “Jolt Blaster 8 Pack Party Pack” (redundant name, much, Hasbro?) to take the place of the original Reflex Attack Unit kit as a solid way to introduce Nerf blasting to coworkers, family members or a large group of friends. At about $30.00 for 8 blasters and 16 darts, it’s not a bad investment, and the Jolt is certainly a capable little blaster. Still, there’s something about the Reflex IX-1 that almost worked even better in the “introduction to an office” scenario… perhaps it’s the fact that the Reflex can’t be as easily hidden (and therefore less of an unwelcome surprise), or perhaps it’s because it doesn’t pack quite the same punch as the Jolt (and therefore less likely to cause anything remotely like an injury). The Jolt is certainly more fun than the Reflex, and it’s a better performer. But the Reflex at least had a reason for being, back in the day. In its current iteration as an Elite-colored blaster that performs no better than the original N-Strike version, the Reflex IX-1 is somewhat of a let-down. It offers decent enough performance, in general, but aside from the office scenario outlined above, it’s a little bulky and really rather pointless next to the more powerful and more easily hidden Jolt. And with the exception of the Reflex IX-1 2-Pack that retails for as much as $20.00—more than half of the 8 pack of Jolts—there’s no longer an affordable “Attack Pack” to even make it worth considering as an introduction to family or friends. And even as 2-pack at $15.00 or $20.00, there are far better values in the current line-up. The Reflex had its moment in the sun, and it can still be a fun distraction today, but it’s simply no longer the good value and fun introduction to the hobby that it once was. Stick a fork in it, Hasbro. This entry was posted in Dart Blasters, Reviews and tagged blaster, IX-1, n-strike, nerf, reflex, review, single-shot on February 1, 2014 by PMindemann. Thanks for the review! I just came across Blaster Lab at a friend’s suggestion and this is my first blaster review article. Well thought out and personal for one of the most unsung blasters. I’ll be sure to check out more! We are glad you found the review so thorough! 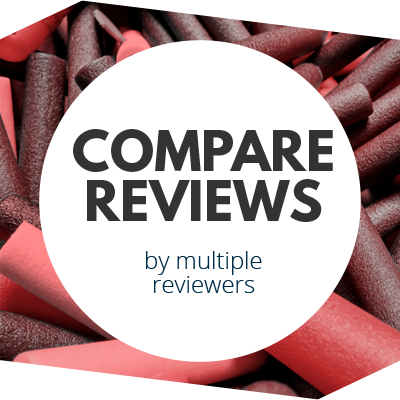 We strive to review blasters fully, without being too long-winded, and also try to be as unbiased as we can be, we want to create a whole listing of reviews for all NERF and related products here! Even reviews for those “most unsung blasters” we want to do!